If you have cash you can start to save. Forget hiding it in a drawer or under your mattress, put it in a safe secure place and start making money on your money! 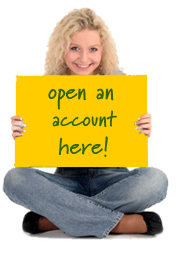 Identify’s no minimum balance saveIT account works just like a standard savings account…only better. Receive a higher dividend on your first $500! if I close my account? If you close your account before dividends are paid, you will not earn anything. To avoid this, keep your account open with $5 until the first business day of the following month. What do you do once you have $500 in your saveIT account? Save another $100 and open an investIT certificate. Already have an ACU savings account? Switch to Identify’s saveIT account here – it’s easy! Making Money and need to spend it? Want a safe way to start investing?